We often think of lighting as purely utilitarian. As long as we have the ability to turn on a light switch and see the ingredients we're chopping for our weeknight dinner or read a book in the evening without straining our eyes, it's easy to not give lighting in our home another thought. But great lamps aren't only aesthetically pleasing, they also create a layered ambiance that cannot be reproduced by overhead lighting. And while table lamps are great, they can also take up precious surface space in your home. Sconces, meanwhile, can be tricky to install. Instead, consider the floor lamp, which has the added benefit of creating an added layer of height in your space, especially when the furniture is low. 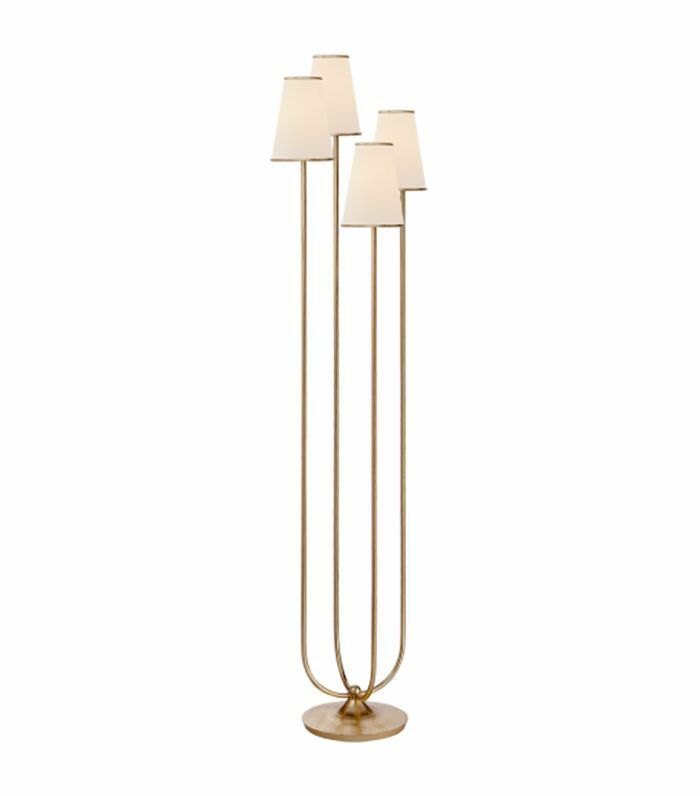 And if you choose them well, beautiful sculptural floor lamps can double as artwork. 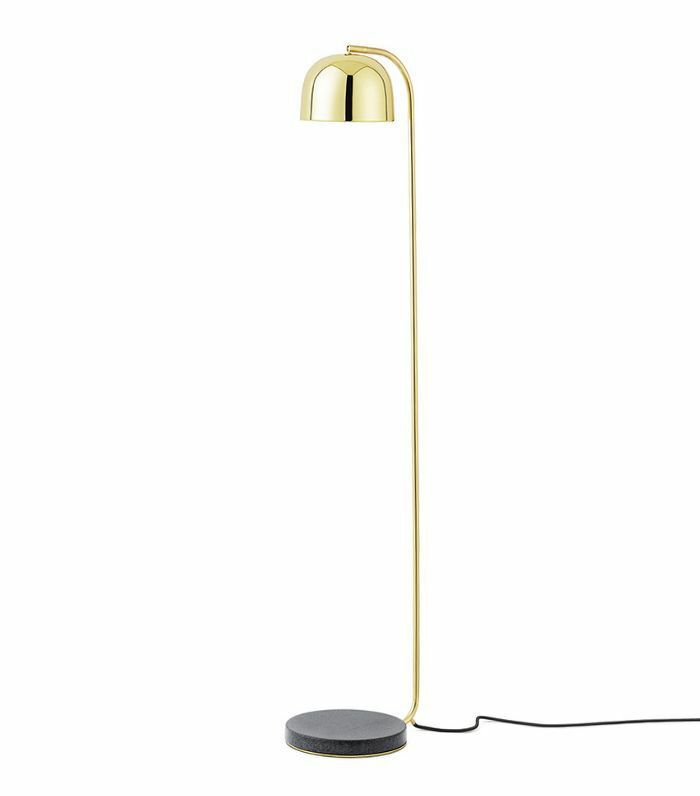 To prove our point, we compiled a list of 15 strikingly beautiful brass floor lamps you'll definitely want to add to your décor. 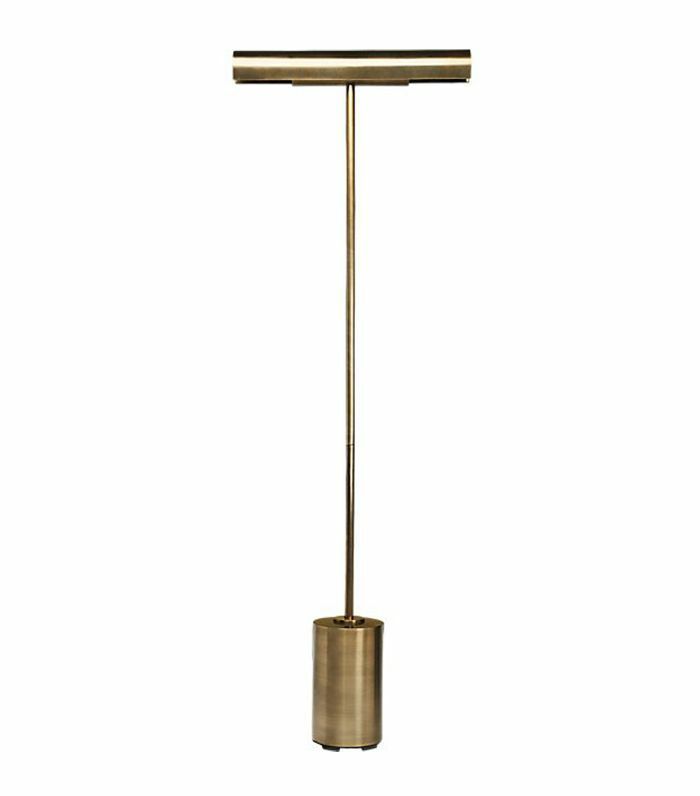 Simple and practical, this antique bronze floor lamp is just the metallic touch your minimal interior needs. 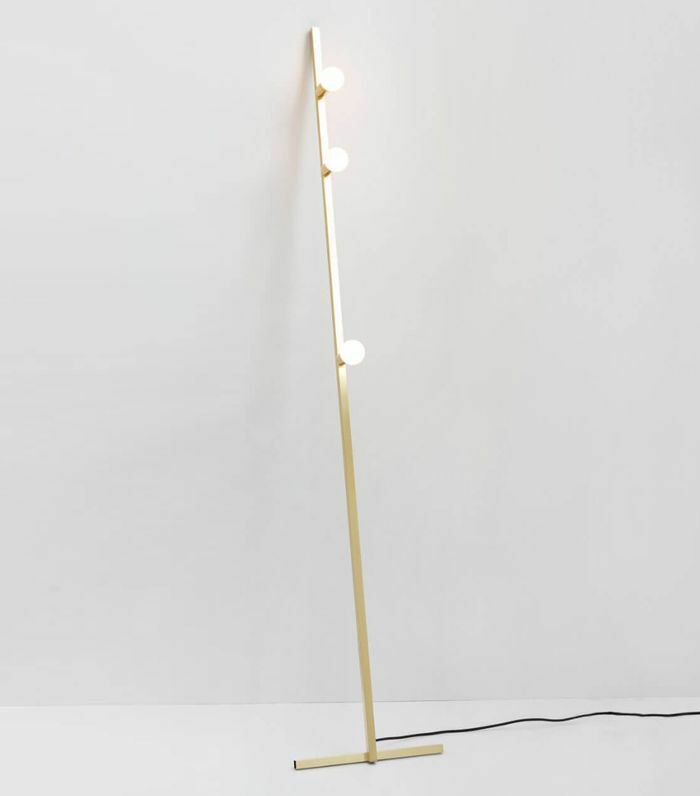 This elegant LED brass floor lamp from Flos is sure to become an instant classic. 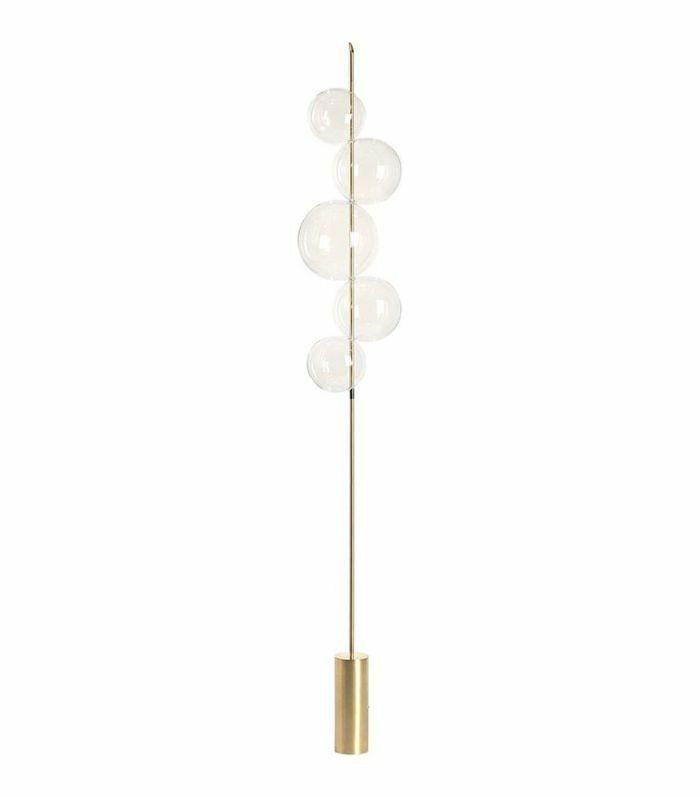 The globes from this minimalist brass floor lamp are so delicate, they appear to be floating. 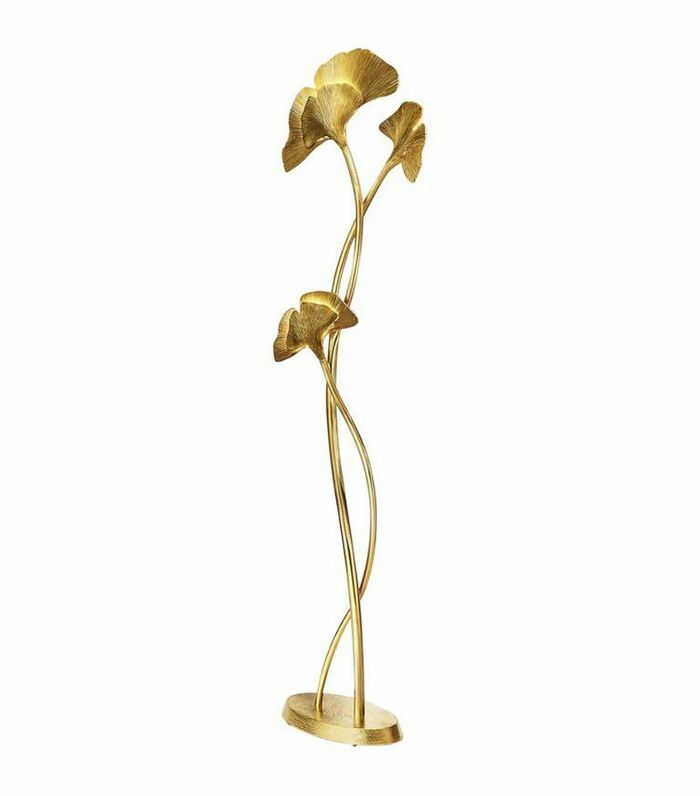 For a true work of art, look no further than this Gingko Biloba brass floor lamp. 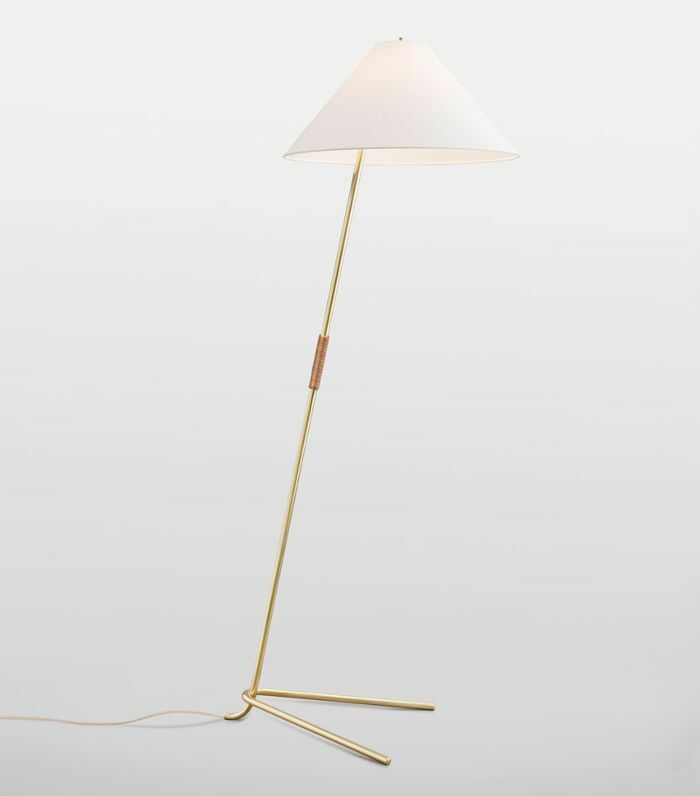 This brass floor lamp from Montreal-based brand Lambert & Fils is basically a minimalist's dream. 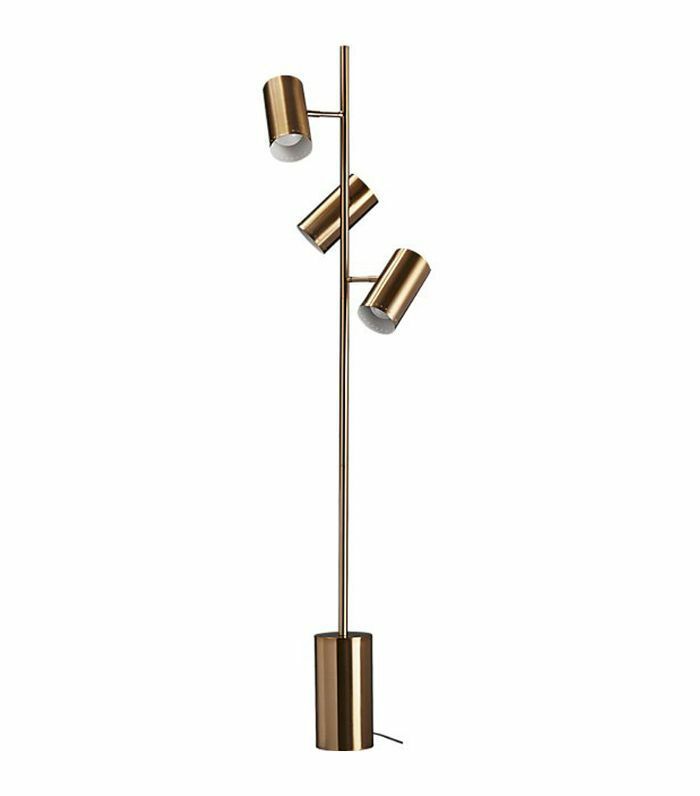 This striking lamp was designed by Louis Weisdorf in 1972, but it's still a favorite today. 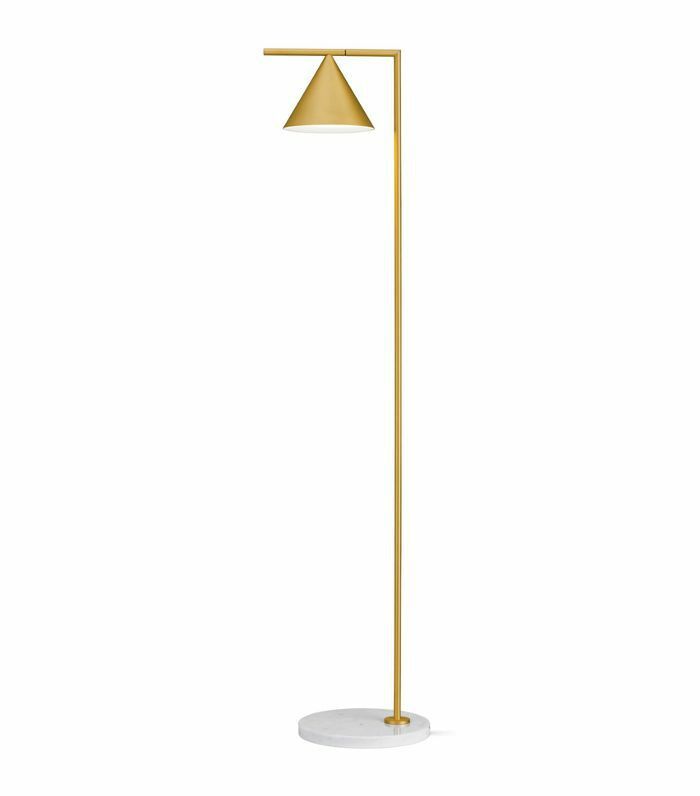 This brass floor lamp by Aerin Lauder is reminiscent of French modernism—and we're big fans. 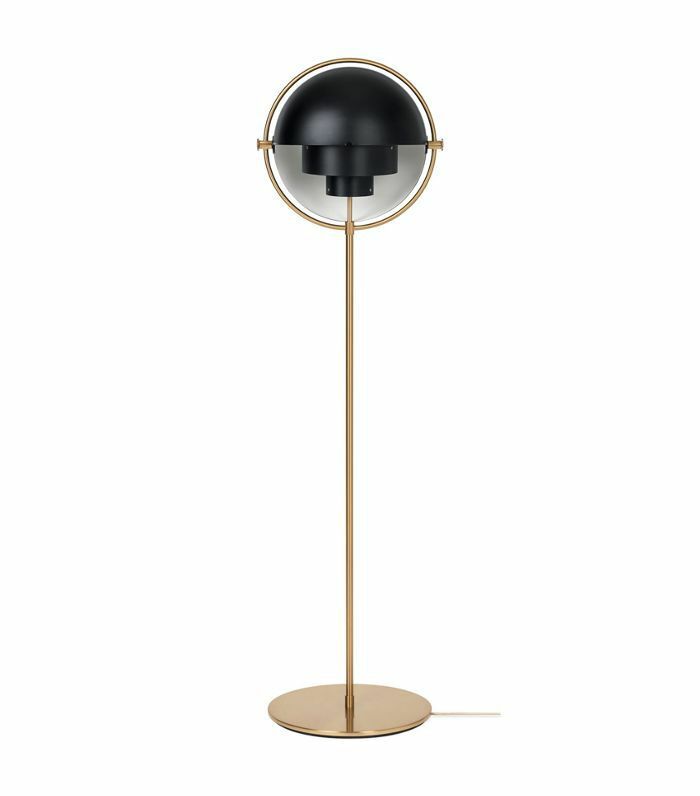 This chic minimalist brass floor lamp from Normann Copenhagen would be perfect for an elegant Scandinavian interior. What could be better than feeling like you're at the beach right in your apartment? 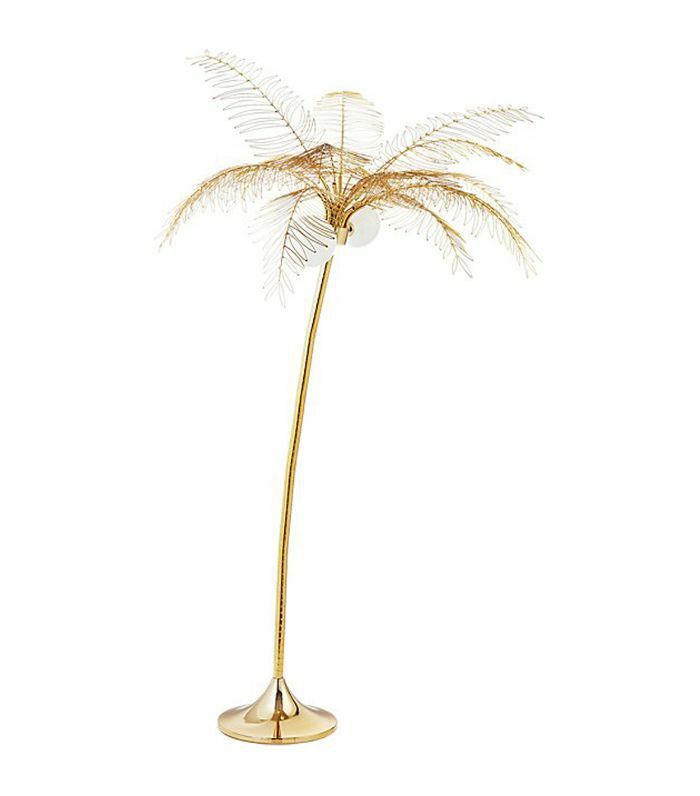 This palm brass floor lamp will get you there. 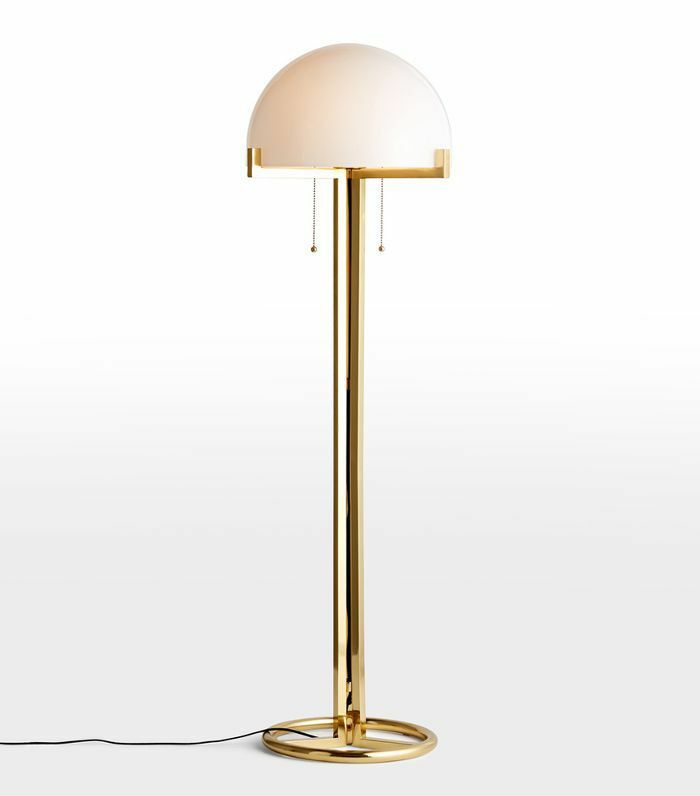 Part classic and part mod, this mushroom brass floor lamp is right on trend. 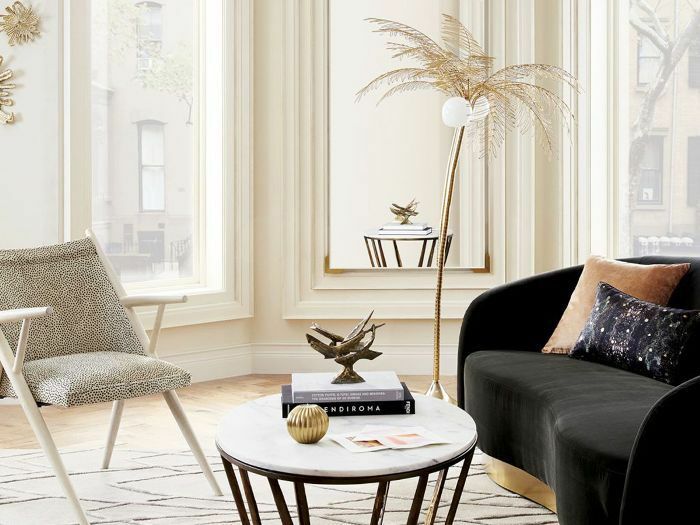 Jonathan Adler knows a thing or two about great design, and this striking brass floor lamp proves it. 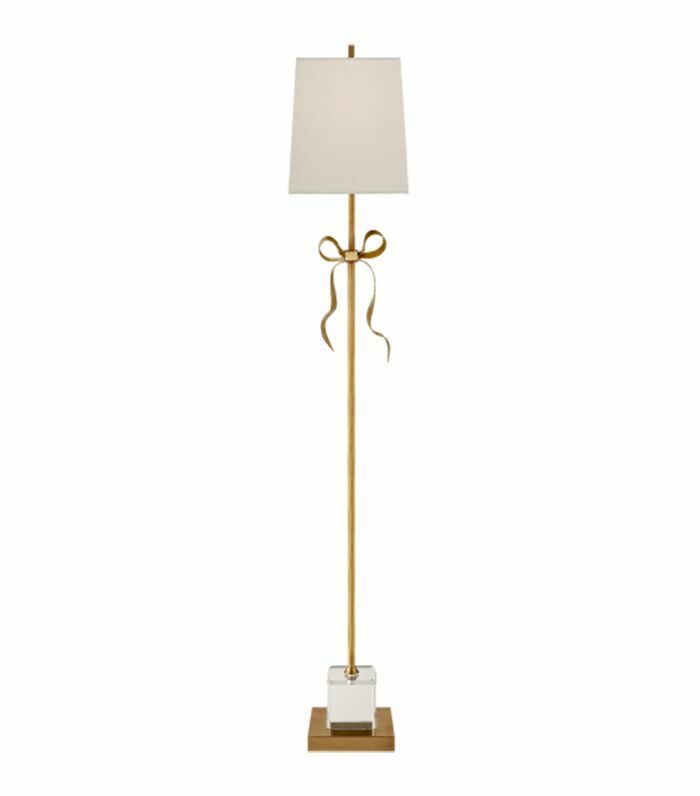 This floor lamp is ideal for the preppy enthusiasts or anyone who worships Blair Waldorf. If you've noticed this lamp popping up everywhere, you're not alone. This popular design has been flying off the shelves lately. 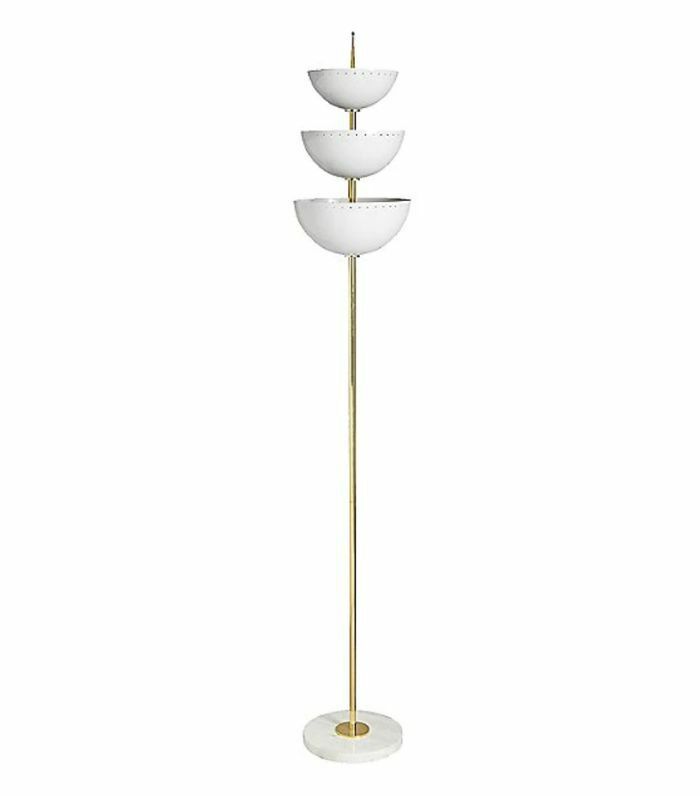 This modern sculptural floor lamp is perfect for any midcentury aficionado. The price isn't so bad either. 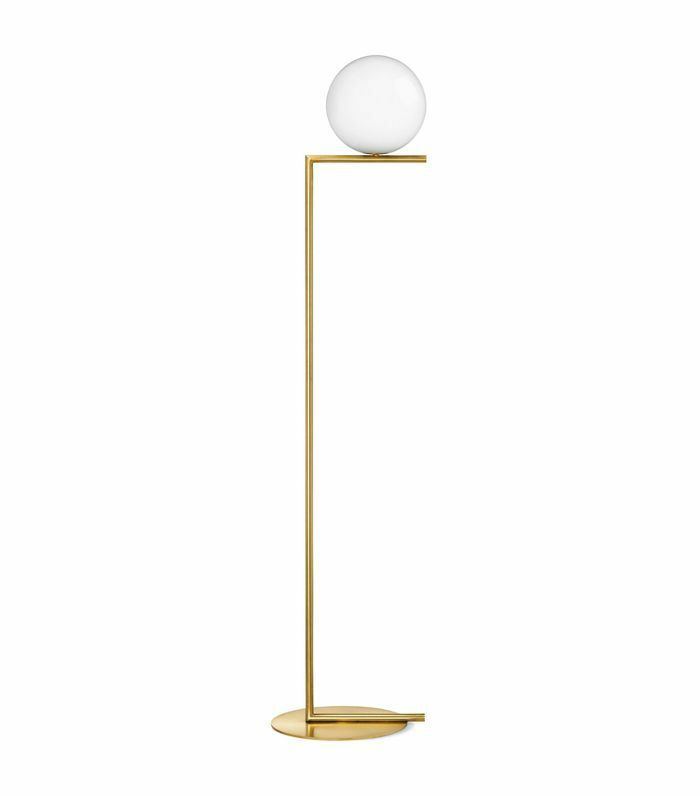 Floor lamp or work of art? This elegant lamb by Kalmar Werkstätten plays double-duty.